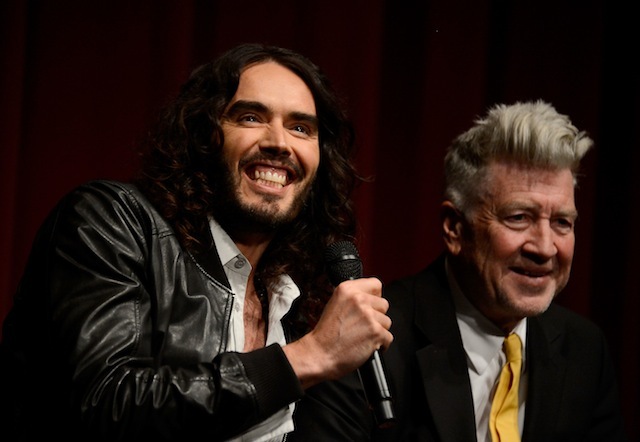 David Lynch and Russell Brand joined forces to help bring Transcendental Meditation to 1,000,000 at-risk youth at the U.S. premiere of ‘Meditation, Creativity, Peace’ at the Hammer Museum’s Billy Wilder Theater in Los Angeles on Tuesday, April 2. 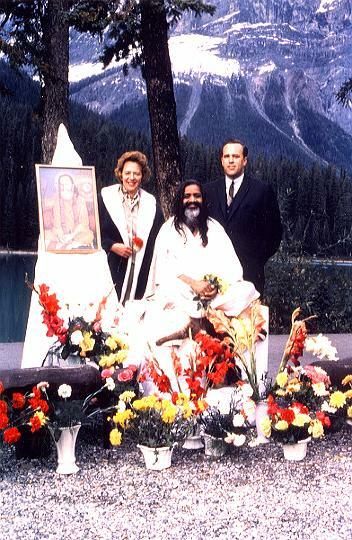 The premiere marked the launch of the “Meditation in Education” global outreach campaign. “Proceeds from the global distribution of the documentary will be used to help students in the United States and across the world overcome traumatic stress, improve learning ability and raise performance through Transcendental Meditation,” said Lynch. Following last night’s debut in L.A., the documentary will go on to screen in 12 major international cities, including London, Paris, Berlin, Tel Aviv, Johannesburg, Tokyo, Rio de Janeiro, Buenos Aires and Toronto, in May and June. The film will also be screened at the Palm Beach International Film Festival in West Palm Beach, FL on Saturday, April 6. Visit the new website, Meditation Creativity Peace, for a list of upcoming and previous screenings: http://meditationcreativitypeace.com. Read more of what happened that night in these reports: Look to the Stars: Russell Brand And David Lynch Bring Meditation To At-Risk Youth and LAist: David Lynch & Russell Brand Changing Lives With ‘Meditation Creativity Peace’, which include photos and videos. Sean Macaulay covered the event, including an interview, for The Daily Beast: David Lynch Discusses Transcendental Meditation in Los Angeles. Google posted this excellent article by AFP: Filmmaker David Lynch touts meditation for PTSD. Here are some videos by World Monitor TV covering the event. In this first one, Russell Brand and David Lynch arrive at ‘Meditation Creativity Peace’ US premier, after posing for photographers, David and Russell walk over to Puki Freeberg for an interview, which starts around 1:38. It’s difficult to make out what they’re saying with the many people talking in the room and photographers shouting at the celebrities to turn their way. At first David complains about the bright lights, saying they need to be covered with gels. But then David introduces the “fantastic” Puki to Russell who lights up and exclaims, “Oh you’re Puki! I hear a lot about you, and I met you once after a show in a different context, in a different dress, in a different light. Other meditating celebrities arrive and are seen in these videos: Maya Stojan, Russell Brand arrive at ‘Meditation Creativity Peace’ US premier | ‘Meditation Creativity Peace’ US premiere – Matt Bomer, Russell Brand, Nick Zano | Matt Bomer, Nick Zano all smiles at ‘Meditation Creativity Peace’ US premiere. 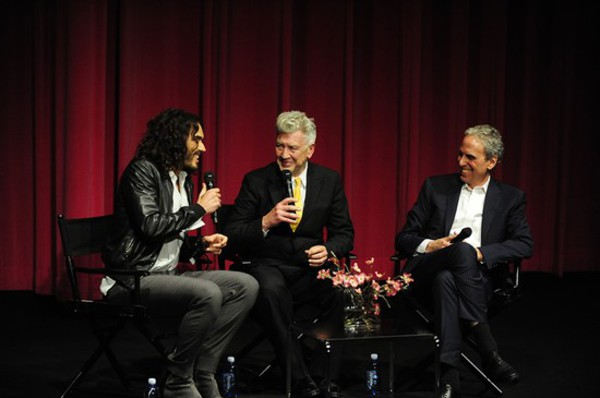 *The Hammer Museum did post the 41-minute interview the following month: David Lynch, Russell Brand, Bob Roth Q&A after screening Meditation, Creativity, Peace documentary at Hammer Museum. Richard Broome also posted it on his website highlighting key quotes from the interview. 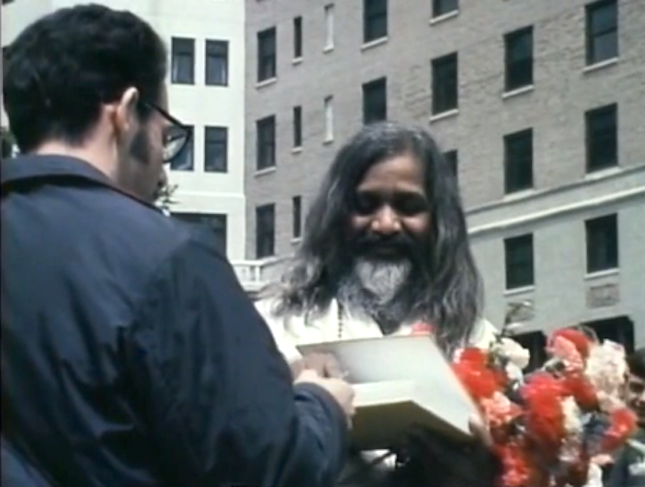 **Here is an earlier post on the film when it was shown in NYC: Watch the trailer for a new documentary film on David Lynch titled “Meditation Creativity Peace”. Enlightenment, The TM Magazine, also reported on the event: Meditation Creativity Peace: How the David Lynch Foundation Brings Change from Within. David Lynch speaks with Alan Colmes about his 16-country tour film Meditation Creativity Peace. Haydn Reiss (producer/director) has been making independent films for twenty years that often focus on writers and poets. As a producer for hire his clients include organizations working on the front lines of education, the environment, culture, human rights, politics and health. In 1998, Reiss directed the award-winning RUMI: Poet of the Heart, which was seen on over 100 PBS stations and screened in festivals around the world. EVERY WAR HAS TWO LOSERS tells the story of how one man, William Stafford (1914-1993), chose to answer the call to war. It is a story of confronting beliefs that swirl around war — Isn’t war inevitable? Even necessary? What about the enemy? Stafford refused to fight in World War Two and served four years in camps for conscientious objectors. Later he was the winner of the National Book Award for poetry. Other participants appearing in the film include Coleman Barks, Robert Bly, John Gorka, Maxine Hong Kingston, Michael Meade, W.S. 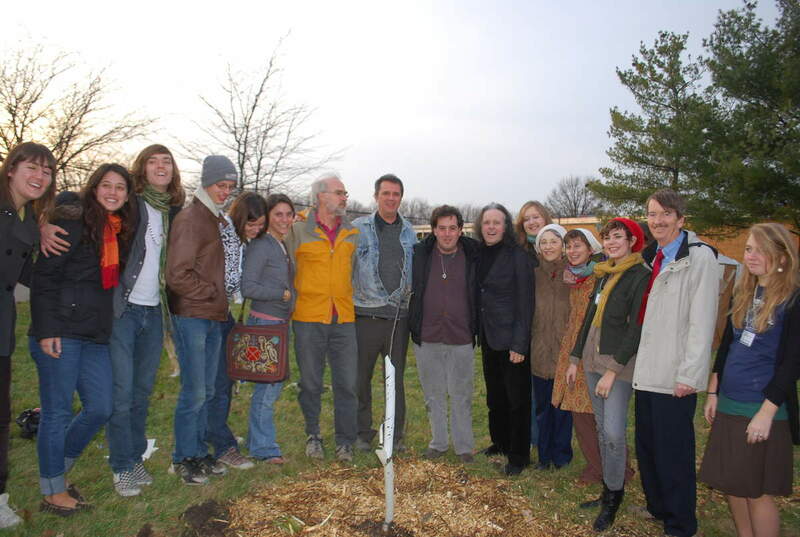 Merwin, Naomi Shihab Nye, Kim Stafford, and Alice Walker. Q: What’s the genesis of the film? HR: In 2006, I read the book the film is based on and that was edited by his son Kim, “Every War Has Two Losers: William Stafford on Peace & War” (Milkweed Editions 2004). It’s fifty years of excerpts from Bill’s journals related to war and reconciliation. As with all of Stafford’s writings, there is a sense of a deep intelligence at work that stays human and available to the reader. There’s humor, heartbreak and a general sense, or assertion, that we human beings are capable of doing better with each other. I’m a father of young children and I have to believe that’s true. More importantly, I had to try and make a contribution to that effort and that’s what I attempted with the film. Q: How does the book differ from the film? HR: Obviously there’s a lot more writing and poems in the book than the film. The challenge was to pull journal entries that could be arranged in some form or fashion and create an overall arc to the film. A beginning, middle and end has not been much improved upon in the world of storytelling. All the material could be endlessly mixed since there was no inherent order to it other than chronological. So mix it we did some untold number of times until the cylinders seemed to line up and my editor and I had something we liked. The film brings in its own ingredients of music, images and a remarkable collection of participants. Q: What do you hope the film does for the viewer? HR: It would be very satisfying to think that after viewing the film you would ask yourself, at a deep level, what you really believe about war. And the follow-up question of “How did I come to believe that?” I think we have been very successfully indoctrinated into accepting that war is a given, it’s what human beings do. The distinction is, and I think this is what Stafford is saying, is “Yes, we do and can make war. But what else can we do?” The undiscovered possibilities in human behavior are what we should pursue. The die is not cast; imagination and creativity are not in short supply. That this is the real, pragmatic work of the world. View trailer, download PBS station airings August-September 2010, bios, and purchase a DVD of Every War Has Two Losers. Also see PEACEFUL POETS: Filmmaker Haydn Reiss on Rumi and Stafford and the Power of Words and A Fascinating Approach to Peace.